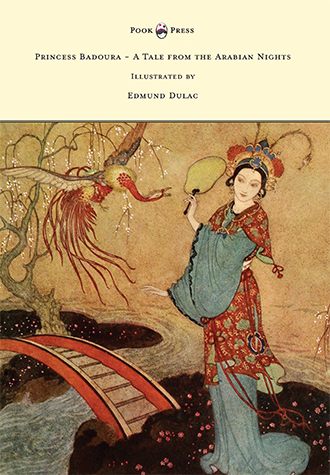 Princess Badoura – A tale from the Arabian nights is a 1913 short story retold by Laurence Housman and illustrated by Edmund Dulac. 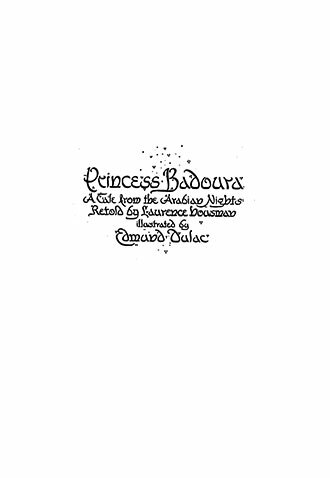 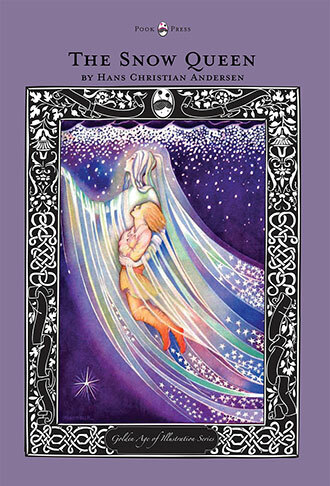 Based on a tale from One Thousand and One Nights, this beautifully illustrated story is highly recommended for lovers of folklore and collectors of classic fairy tales. 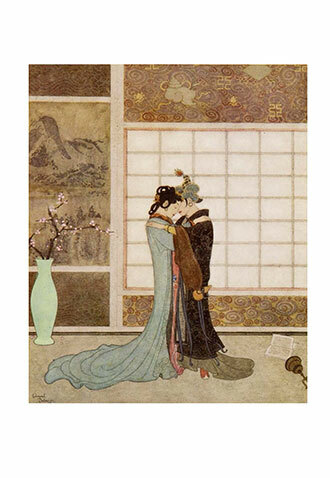 Edmund Dulac (1882 – 1953) was a French-born British illustrator and stamp designer. 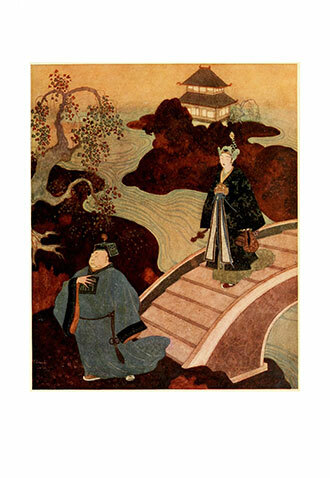 He was born in Toulouse and studied law there, but later, realising that his true passion was illustration, studied art the École des Beaux-Arts. 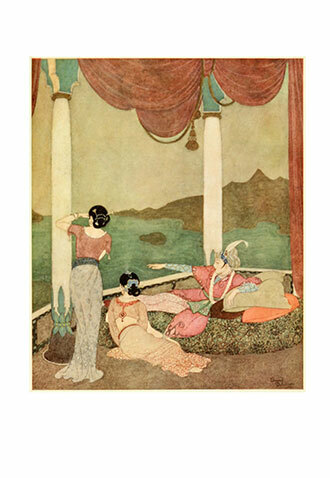 Having moved to London in the early 20th century, Dulac received his first commission to illustrate the novels of the Brontë Sisters in 1905. 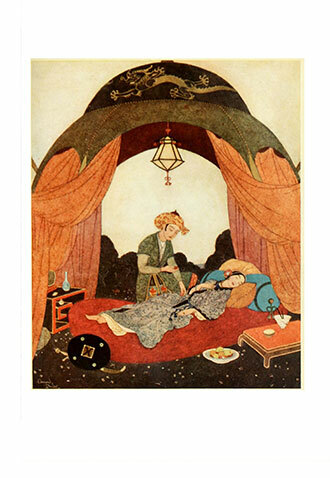 During the First World War, he illustrated relief books; and after the war, when children’s books were in low demand, he began illustrating magazines. 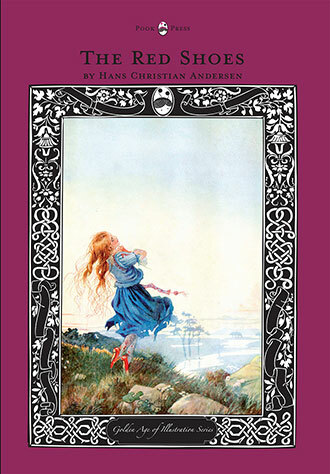 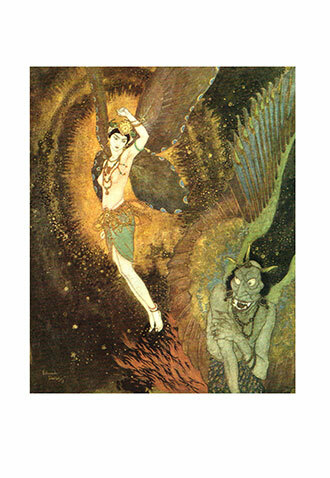 Other notable works containing Dulac’s illustrations include: “The Sleeping Beauty and Other Fairy Tales” (1910), “Stories from Hans Christian Andersen” (1911), and “The Bells and Other Poems by Edgar Allan Poe” (1912). 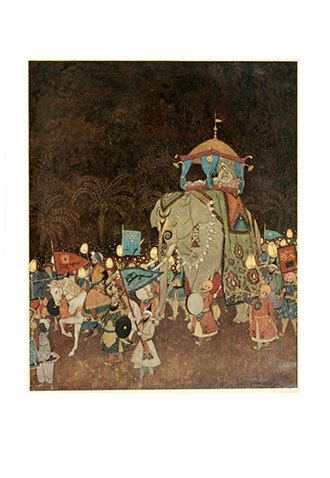 With works such as Princess Badoura – A Tale from the Arabian Nights, Pook Press celebrates the great ‘Golden Age of Illustration‘ in children’s literature – a period of unparalleled excellence in book illustration from the 1880s to the 1930s.